We manufacture products made from edible insect – crickets. We would like to break barriers and convince people to eat crickets. All of our goods are of high nutritional value. 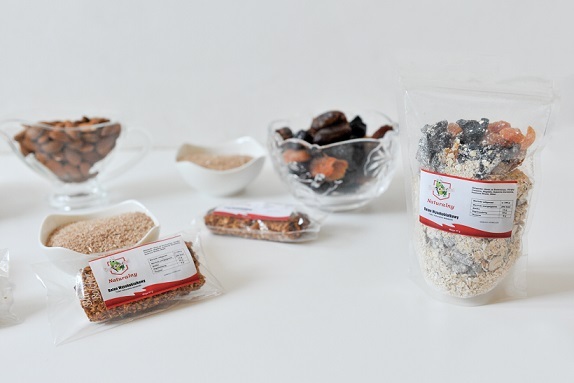 We care about healthy style, that’s why our products are rich in natural ingredients such as dried fruits, oats, almonds and flour with crickets. Bars, mueslis, yogurts contain a huge amount of protein, iron, calcium and zinc. We would worldwide like to stimulate eating insects because breeding crickets has a positive influence on our climate and environment. Summing up, our products are not only healthy and good for the climate, but are tasty and rich in high nutritional value as well. Let’s eat RONZO Crickeat.